WHAT'S NEW? I recently opened a new show, "HIGH SIERRA: Photographs from the California Backcountry," at the Faulkner Gallery in Santa Barbara. If you missed it or would like to see the images again, just click on the cover image to the left. The PDF catalog of the show will open in a separate window. 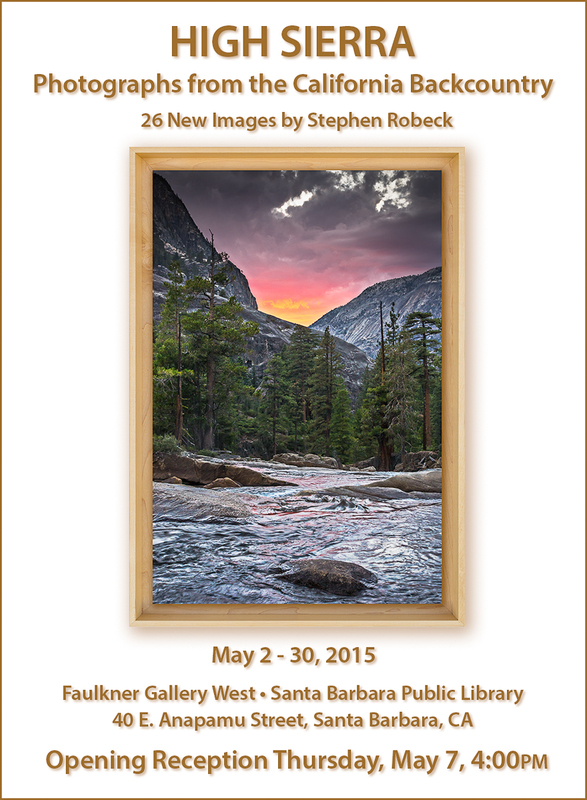 Images from this show and those from "WATER: Refractions, Reflections & Motion" will be posted here on the site soon. A PDF of the "WATER" catalog can be found here. I welcome comments about the site. It's great to hear from people about what they like (or not). If this is your first visit to SPR Images, take a look through the intro tabs below. They'll help you to find your way around.